… where talent and inspiration meet. 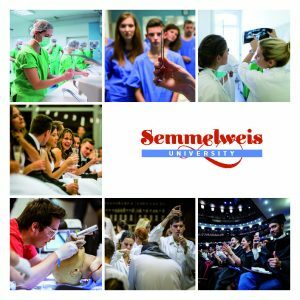 Semmelweis University organises a variety of large and small scientific events each year. Researchers’ Salon, held on a monthly basis, provides an opportunity for Semmelweis University’s most eminent scholars to introduce themselves since 2012. The presentation of the University’s awards takes place within the framework of scientific forums. In addition, the University organises numerous international conferences and congresses, the most significant of which is the annual Semmelweis Symposium. The Events Calendar contains information on the current events. University events are connected to various national and international events. One of the most important of these is the Researchers’ Night. Held on the fourth Friday of September, thousands of participants take part in the exciting programmes offered each year.